is a single source of quality fibers, wool, filter media, thermal and acoustic exhaust components to OEM, aftermarket and industrial markets. We are certified according to the current ISO 9001 and IATF 16949 standards. American Metal Fibers, Inc. experience with metal fibers and other high temperature fibers, combined with manufacturing and technical development personnel, offers you a range of skills and technology from around the world. American Metal Fibers, Inc. has the ability to help you with your metal fiber application and give you insight into solutions for your applications. 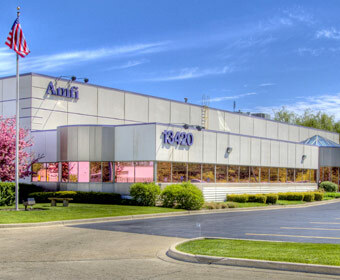 American Metal Fibers, Inc. currently holds patents on several industrial and filtration products used in North and South America, Europe, and Asia. Each of these products was developed with specific applications and needs. American Metal Fibers, Inc. has been certified since 1997. We focus on our quality to ensure customer satisfaction. Since 1980, we have focused on providing the best services possible and have been a preferred supplier of quality products. High quality metallic fiber, wool, high-tech metal filters, thermal/acoustical heat shields and components parts. Learn more.